Q-1[DEVOTEE]: "How ought we to live in the world?" 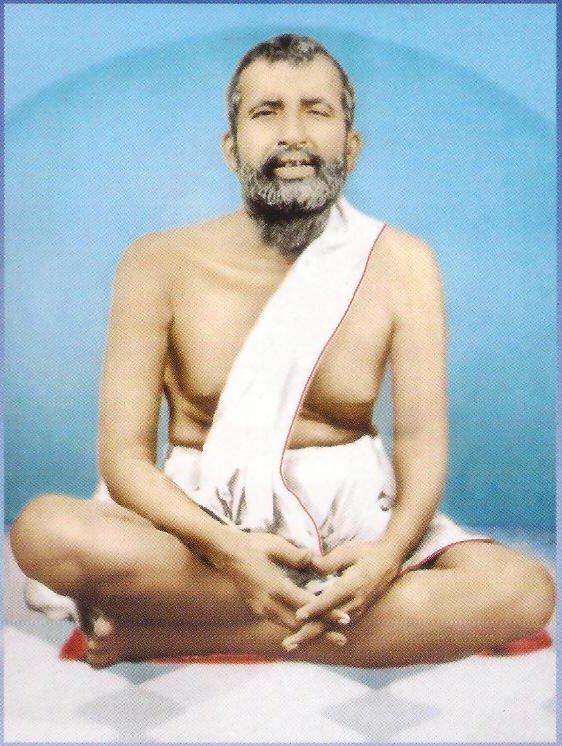 SRI RAMAKRISHNA' ANSWER: “Do all your duties, but keep your mind on God. A maidservant in the house of a rich man performs all the household duties, but her thoughts are fixed on her own home in her native village. She brings up her Master's children as if they were her own. She even speaks of them as 'my Rāma' or 'my Hari'. But in her own mind she knows very well that they do not belong to her at all. But one must go into solitude to attain this divine love. Further, by meditating on God in solitude the mind acquires knowledge, dispassion, and devotion. But the very same mind goes downward if it dwells in the world. Together with this, you must practise discrimination: 'Lust and Greed' is impermanent. God is the only Eternal Substance. What does a man get with money? Food, clothes, and a dwelling-place - nothing more. You cannot realize God with its help. Therefore money can never be the goal of life. Q-2 [Devotee]: "Is it possible to see God?" Sri Ramakrishna: "Yes, certainly. (i) Living in solitude now and then, (ii) repeating God's name and singing His glories, and (iii) discriminating between the Real and the unreal - these are the means to employ to see Him." Q-3 [Devotee]: Under what conditions does one see God? Sri Ramakrishna: "Cry to the Lord with an intensely yearning heart and you will certainly see Him. People shed a whole jug of tears for wife and children. They swim in tears for money. But who weeps for God? Cry to Him with a real cry. God reveals Himself to a devotee who feels drawn to Him by the combined force of these three attractions: (i) the attraction of worldly possessions for the worldly man, (ii) the child's attraction for its mother, and (iii) the husband's attraction for the chaste wife. If one feels drawn to Him by the combined force of these three attractions, then through it one can attain Him. It is necessary to pray [To know about PRAYER click] to Him with a longing heart. The kitten knows only how to call its mother, crying, 'Mew, mew!' It remains satisfied wherever its mother puts it. And the mother cat puts the kitten sometimes in the kitchen, sometimes on the floor, and sometimes on the bed. When it suffers it cries only, 'Mew, mew!' That's all it knows. But as soon as the mother hears this cry, wherever she may be; she comes to the kitten. Q-4 [DEVOTEE]: If a wicked man is about to do harm, or actually does so, should we keep quiet then? SRI RAMAKRISHNA: "A man living in society should make a show of tamas to protect himself from evil-minded people. But he should not harm anybody in anticipation of harm likely to be done him. Q-5 [DEVOTEE]:”How can we know that all paths are true?" SRI RAMAKRISHNA: "A man can reach God if he follows one path rightly. Then he can learn about all the other paths. It is like reaching the roof by some means or other. Then one is able to climb down by the wooden or stone stairs, by a bamboo pole, or even by a rope. Q-6 [DEVOTEE] : "How does one receive the grace of God?" SRI RAMAKRISHNA: "Constantly you have to chant the name and glories of God and give up worldly thoughts as much as you can. With the greatest effort you may try to bring water into your field for your crops, but it may all leak out through holes in the ridges. Then all your efforts to bring the water by digging a canal will be futile. Q-7 [DEVOTEE]: "How can one attain yoga? SRI RAMAKRISHNA: By completely renouncing attachment to worldly things. The mind must be pure and without blemish, like the telegraph wire that has no defect. Q-8 [DEVOTEE]: "How can one attain vision of God? SRI RAMAKRISHNA: "The thing is that one must love God. Through intense love one attains the vision of Him. The attraction of the husband for the chaste wife, the attraction of the child for its mother, the attraction of worldly possessions for the worldly man-when a man can blend these three into one, and direct it all to God, then he gets the vision of God." Q-9: [A devotee]: "How may we fix our minds on God?" SRI RAMAKRISHNA: "Repeat God's name and sing His glories, and keep holy company. Now and then visit God's devotees and holy men. It is most necessary to go into solitude now and then and think of God. To fix the mind on God is very difficult in the beginning, unless one practises meditation in solitude. To meditate, you should withdraw within yourself or retire to a secluded corner or to the forest. Q-10 [A DEVOTEE]: “what is the way out of this world?" SRI RAMAKRISHNA: "Prayer and the company of holy men. You cannot get rid of an ailment without the help of a physician. But it is not enough to be in the company of religious people only for a day. You should constantly seek it, for the disease has become chronic. Again, you can't understand the pulse rightly unless you live with a physician. Moving with him constantly, you learn to distinguish between the pulse of phlegm and the pulse of bile."